Click here to download a flier for the reading and click here for a map of Stude Concert Hall. Free rush tickets for students and senior citizens 65+ will be available at the door starting at 6:45 pm. RIGOBERTO GONZÁLEZ is the author of more than a dozen books of poetry, fiction, and nonfiction. 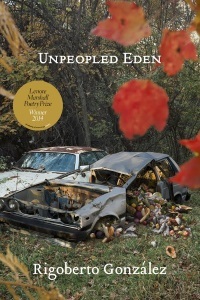 About Unpeopled Eden—his most recent poetry collection, which won the Lambda Literary Award and the Lenore Marshall Prize from the Academy of American Poets—Booklist says, “González writes with unrelenting honesty, composing long poems of successive septets, with an eye for vivid, brutal imagery…. With what may be his most ambitious collection yet, González reaffirms his role as a preeminent voice in Chicano poetics.” His poetry collection So Often the Pitcher Goes to Water Until It Breaks was a winner of the National Poetry Series, and his collection Other Fugitives and Other Strangers won San Francisco State University’s Poetry Center Book Award. González received the American Book Award for his memoir Butterfly Boy: Memories of a Chicano Mariposa. His major works of fiction include the novel Crossing Vines and the story collection Men Without Bliss, as well as two children’s books. He writes a monthly column for NBC-Latino online, is a contributing editor for Poets & Writers Magazine, and serves as critic-at-large for the Los Angeles Times. KEVIN PRUFER’s sixth poetry collection Churches was described by The New York Times as a “gothic extravaganza featuring alligators, avalanches and medical devices left inside bodies, delivered largely in long, musical free verse lines,” and was included on the Times’ list of “Ten Favorite Poetry Books of 2014.” His other poetry collections include In a Beautiful Country, an Academy of American Poets Notable Book for 2011 and a finalist for the Rilke Prize; National Anthem, one of Publishers Weekly‘s “Five Best Poetry Books of 2008” and a “Best Book of the Year” by Virginia Quarterly Review; and The Finger Bone, winner of the William Rockhill Nelson Award and finalist for Academy of American Poets’ James Laughlin Award. The Chautauqua Literary Journal calls him “one of the most forceful, original, and strikingly urgent voices in contemporary American poetry.” Prufer serves as editor of Pleiades: A Journal of New Writing and co-director of Pleiades Press. His editing projects include Into English: An Anthology of Multiple Translations, forthcoming in November. He will read from his seventh poetry collection How He Loved Them, to be published in 2018. Prufer is a faculty member at the University of Houston Creative Writing Program. Reading followed by an on-stage interview, book sale and signing. 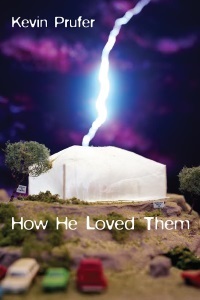 To order books by Rigoberto González & Kevin Prufer at a discount click here. To submit questions for Rigoberto González & Kevin Prufer click here. To learn more about the 2017/2018 Inprint Margarett Root Brown Series click here. “Rigoberto González on being in the bittersweet club of professionals of color,” in the Los Angeles Times, March 23, 2017. “Poetry, Loss and Inspiration: An Interview with Rigoberto González,” by Olga Segura, in America, The Jesuit Review, August 5, 2014. 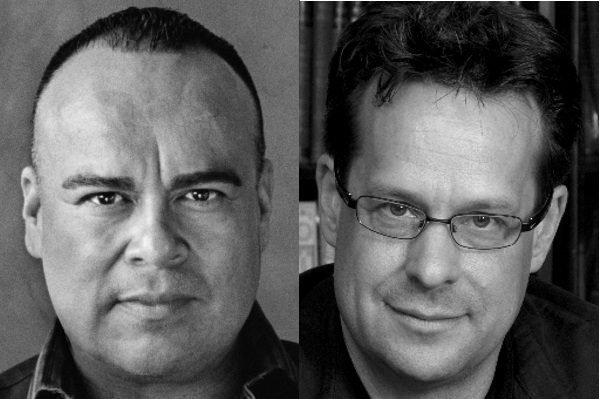 “Rigoberto González: Populating the Bookshelves,” by Bernard Lumpkin, in LambdaLiterary.org, May 4, 2013. “The Translator,” a poem by Kevin Prufer, in The Paris Review, Spring 2017. “After you have vanished,” a poem by Kevin Prufer, in Poem-A-Day for Friday, April 29, 2016. “Behind the Byline/Kevin Prufer,” An interview with Rick Barot, poetry editor of New England Review, Volume 38, Number 2. “The Expression of Not-Knowing: An Interview with Kevin Prufer,” by Robyn Creswell, The Paris Review, March 7, 2014.